Your stopcock or stop tap turns off the flow of water into your home. We look at what to do if it doesn’t work. How many stop taps in your home? We all have a list of things to do around the home that we may or may not get round to. Filing paperwork, sorting out the linen cupboard and in all likelihood, testing your stop tap is on that list too. The problem is, while not being able to find a record of your accounts or your towels being in a mess might be annoying, failing to test your stop tap can be disastrous. If you’ve got a plumbing problem, you can find a Which? Trusted Traders endorsed plumber in your area. Depending on your system, you may have one or three stop taps in your home. If you have a high-pressure system – usually found in homes with combi-boilers or a mega-flow hot water tank, there will be one single stop tap that turns off water from the mains. A gravity or low-pressure system, when there is a tank in the loft that supplies the toilets and basins, will have the mains stop tap that supplies water to the kitchen sink, plus a stop tap coming out of the tank for the hot-water flow and for the cold-water flow too. 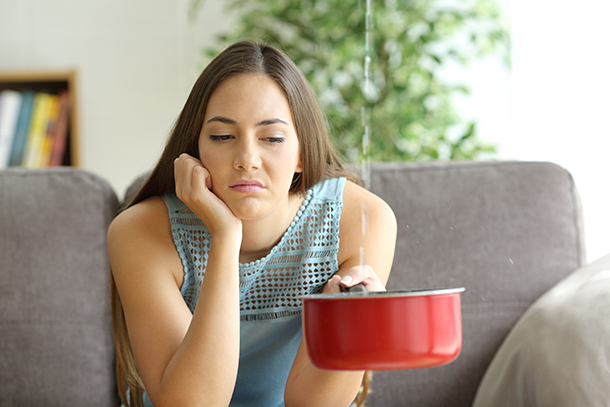 Check our article for more tips on how to stop a water leak, or read on for more about what to do when your mains stop tap doesn’t work. Can you isolate the problem? If you’re dealing with a leak or need to make a repair, check to see whether you have localised isolation valves underneath the specific area where you need to turn the water off. A good plumber will install isolation valves to turn off the water to specific taps, basins or tanks, when they install them. The main benefit of isolation valves is that they allow you to work on specific areas, without having to shut off the whole system. Can you free up your own stop tap? If you still need to turn off the mains water supply, the next step is to try the stop tap in your home. It’s often located under the stairs or in a cupboard. If it is stuck do NOT attempt to force it. If a stop tap has seized up, it’s probably scaled up and full of debris, rather than rusty. Plumbing parts are made of non-ferrous metals, such as brass or copper, so they corrode and scale up rather than rust. If in doubt, call in a plumber who will advise you on whether it’s possible to fix it or replace it. You can find an endorsed plumber in your local area with Which? Trusted Traders. Can you turn off the water from the street? So when your home’s stop tap is completely stuck, you’ll need to go to the next stop tap down the line, which is in the street or in your garden. They’re often under a metal cover about 150mm square. If you’ve got a water-meter, there’ll be a modern plastic tap next to the meter. Mark says: ‘A modern water-meter comes with a plastic stop tap, which doesn’t corrode.’ In other words, it should work and is relatively simple to turn off by hand or a universal stop tap key (available from any hardware store) if it’s too deep to reach. Not all homes will have a modern water-meter, so if you’re faced with an old-fashioned stop tap, you’ll need a universal stop tap key to turn it off. But you might be faced with a similar problem of it sticking. The external stop tap is the property and responsibility of your local water company. In an emergency, your local water company guarantee to come out within 24 hours. However, this is more than long enough for a leak within your property to create some serious damage. Turning off an old-style stop tap from the street may also turn off the water to neighbouring properties. If this is the case, it’s only fair to let them know what’s going on and how long the water is likely to be off for. See our Which? Trusted traders’ tips on how to deal with a burst pipe. Even a simple plumbing job, such as changing a tap on a sink, becomes more complicated and more costly if you’re unable to shut off the water effectively within your home. Without isolation valves or a working stop tap, your plumber may need to drain the entire system before making any repairs. This takes time and, as plumbers often charge by the hour, often means higher charges. On the plus side, once your system is drained, it’s a great opportunity to install new isolation valves or a new stop tap. If you’re having problems turning your stop tap, then it’s a good idea to get a new one fitted in advance of any emergency. 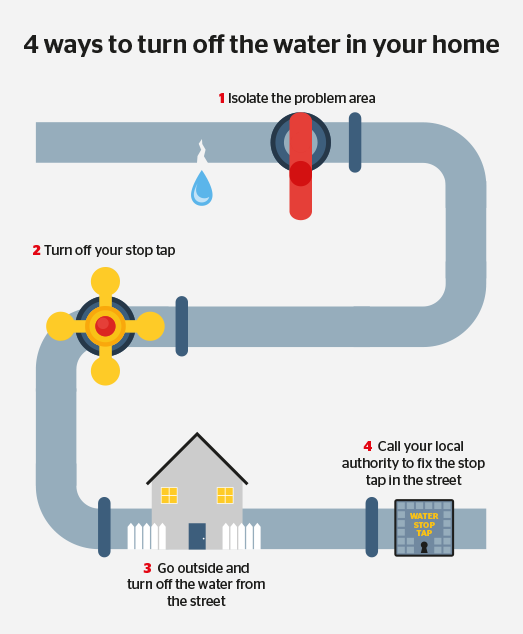 A plumber will be able to turn off the water from the street, fit a new stop tap ahead of the broken / stuck one and then you’ve got a working stop tap on your property once more. See more of our expert tips on how to look after your plumbing system.